 Since 2011 Ofcom has published an annual report on communications networks in the UK, previously called Infrastructure reports they are now called 'Connected Nations'. A large portion of this report relates to home and mobile internet access and while the report focuses primarily on national and regional analysis, since 2013 they have published post code level data on fixed line(home) internet and since 2014 this data has included more useful information about connection speeds. Between 2014 and 2017 the number of broadband connections under 2Mbit/s more than halved with the number of connections under 10Mbit/s dropping dramatically. At the same time the number of connections over 30Mbit/s has more than tripled and is now the largest of the 4 groups. In 2014 around 1 third of connections were faster than 10 Mbit/s, in 2017 this rose to around 2 thirds with 40% of all fixed line connections breaking 30 Mbit/s. The Government’s aim is to provide superfast broadband (speeds of 24Mbps or more) for at least 95% of UK premises and universal access to basic broadband (speeds of at least 2Mbps). With just under 7,000 connections still under 2Mbit/s in mid-2017, Connecting Devon & Somerset are working on improving internet to these harder to reach or less commercially viable areas. In the chart below you can see the number of postcodes with a median download speed of between 2 and 10 Mbit/s halved, a drop of over 4,000 postcodes, between 2014 and 2017. Conversely more than 3,000 additional postcodes had a median download speed above 30 Mbit/s in 2017 compared to 2014. 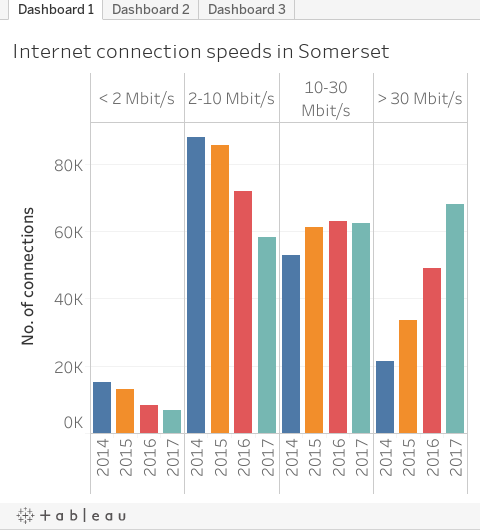 This means a quarter of Somerset postcodes had a median download speed in excess of 30 Mbit/s in 2017, up from 3% in 2014. Of the 510 postcodes (excluding those with no data for either 2014 or 2017) with a median download speed under 2 Mbit/s in 2014, only 172 have seen no improvement. Most have seen modest improvements but 160 had improved to at least 10 Mbit/s by 2017. The largest changes happened in postcodes with a median download speed between 2 and 10 Mbit/s in 2014, which represented about half of all post codes. More than 4,000 of the 7,400 postcodes saw median download speeds rise to over 10 Mbit/s with around 1,800 of these seeing more significant improvements to over 30 Mbit/s. There are around 160 postcodes that have a slower median download speed in 2017 than in 2014. These postcodes represent around 1,500 connections, or less than 1% of connections across the county and may be due to the way the data is collected rather than a real reduction in speeds.